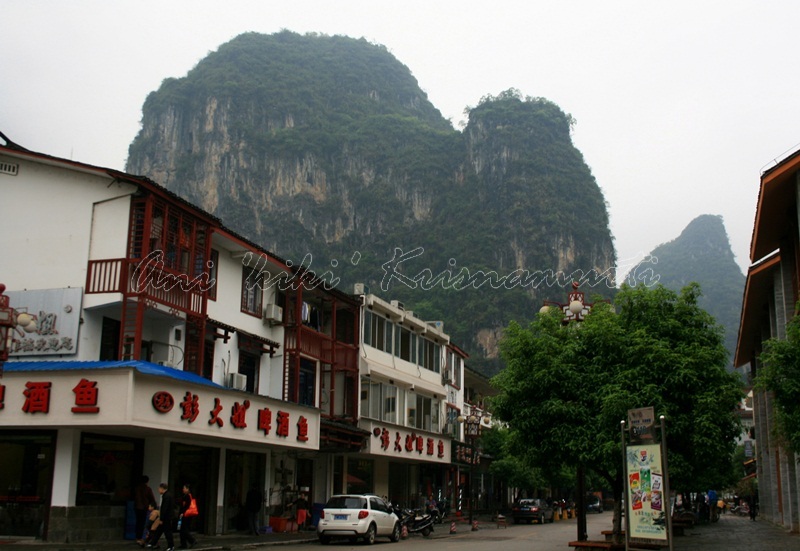 Guilin is a prefecture-level city in the northeast of the Guangxi Zhuang Autonomous Region, People’s Republic of China, situated on the west bank of the Li River, and bordering Hunan to the north. 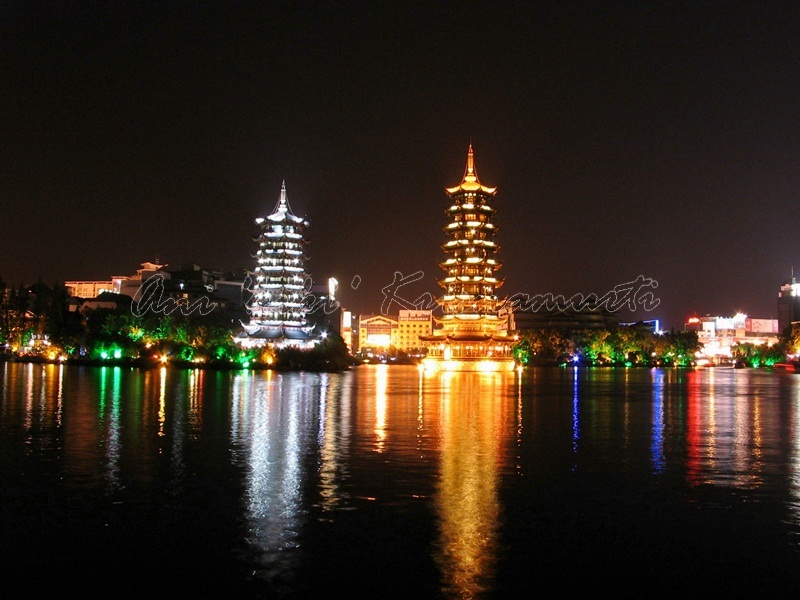 Its name means, “forest of Sweet Osmanthus”, owing to the large number of fragrant Sweet Osmanthus trees located in the city. 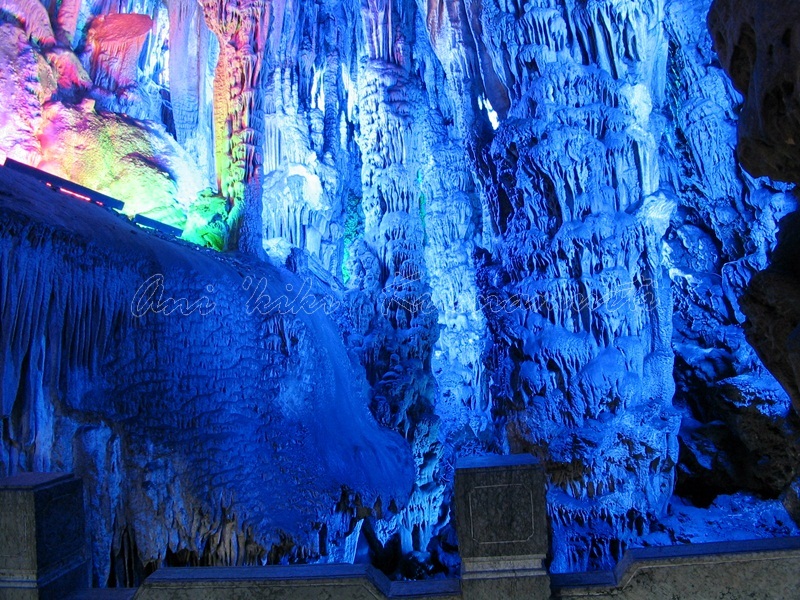 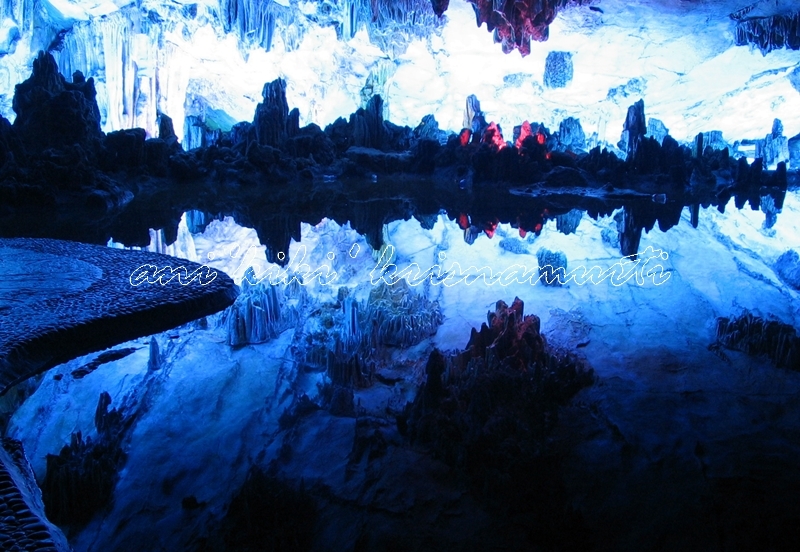 Reed Flute Cave is a limestone cave with a large number of stalactites, stalagmites, stalacto-stalagmites, rocky curtains, and cave corals. 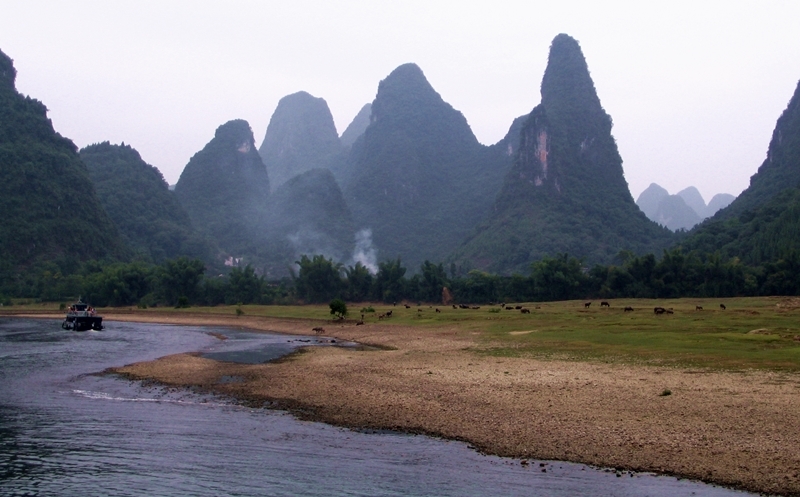 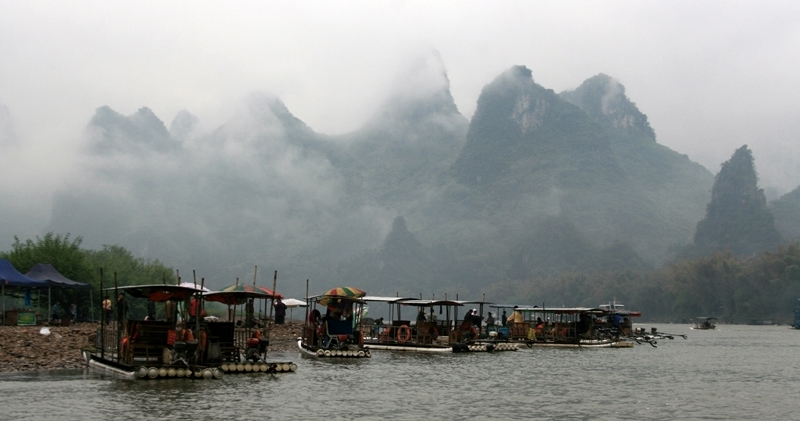 The Li River (Chinese: 漓江; pinyin: Lí Jiāng) or Lijiang is a river in Guangxi Zhuang Autonomous Region, China. 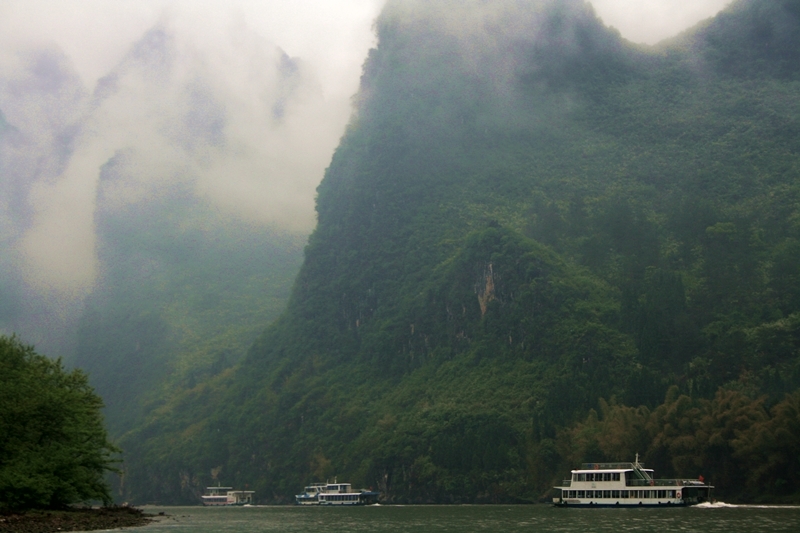 It ranges 83 kilometers from Guilin to Yangshuo, where the Karst mountain and river sights highlight the famous Li River cruise. 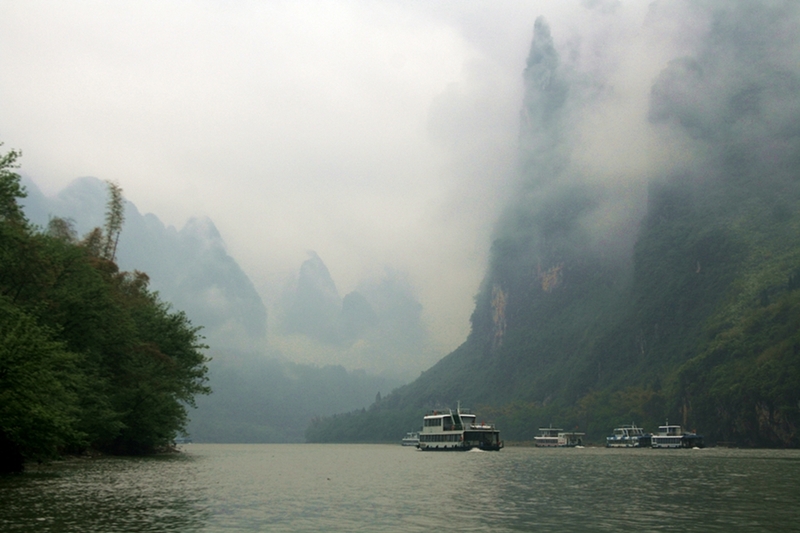 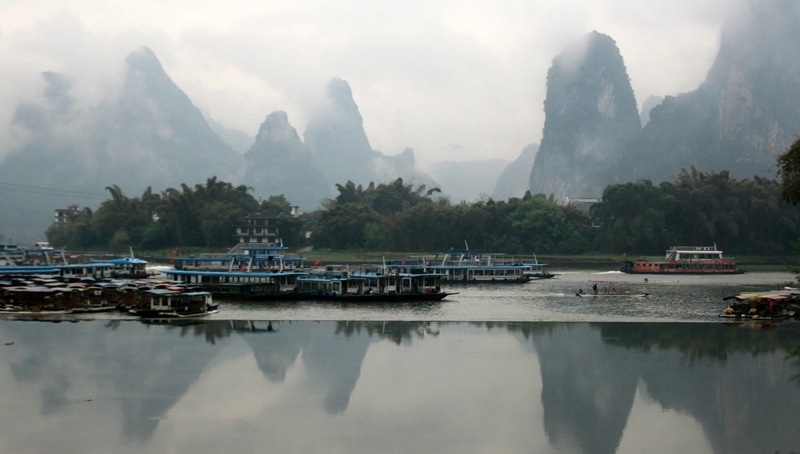 Tourist cruises in different boats (varying from small bamboo rafts to larger, air-conditioned ships) are offered on the Li River throughout the year and are one of the major attractions of Guilin. 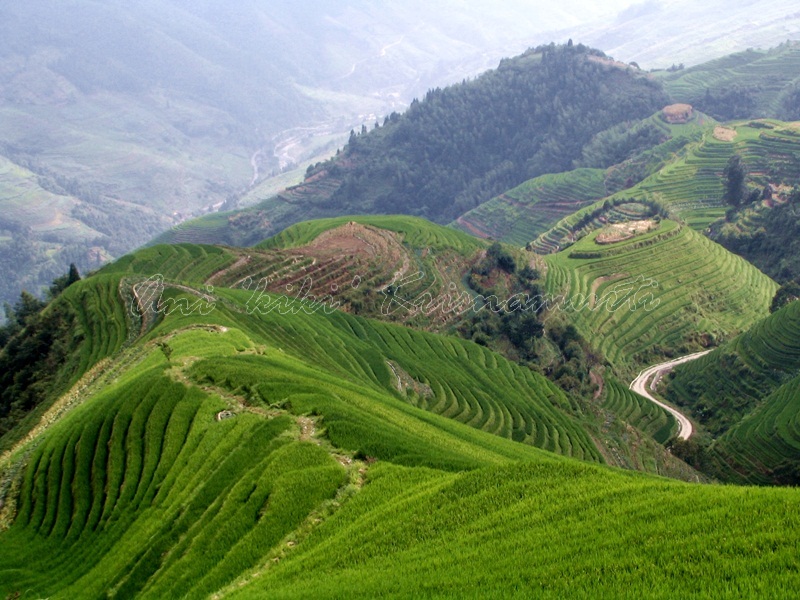 The terraced fields are built along the slope winding from the riverside up to the mountain top, between 600 m to 800 m above sea level. 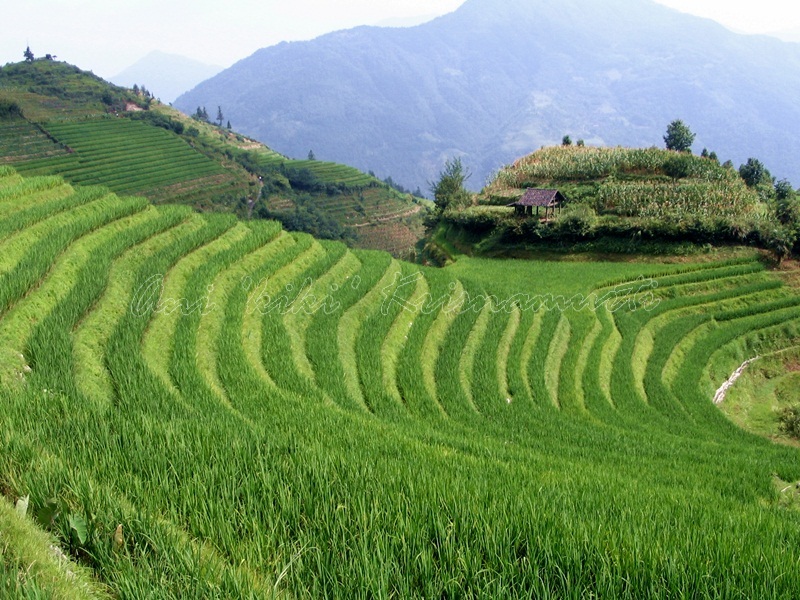 The coiling line that starts from the mountain foot up to the mountain top divides the mountain into layers of water in spring, layers of green rice shoots in summer, layers of rice in fall, and layers of frost in winter. 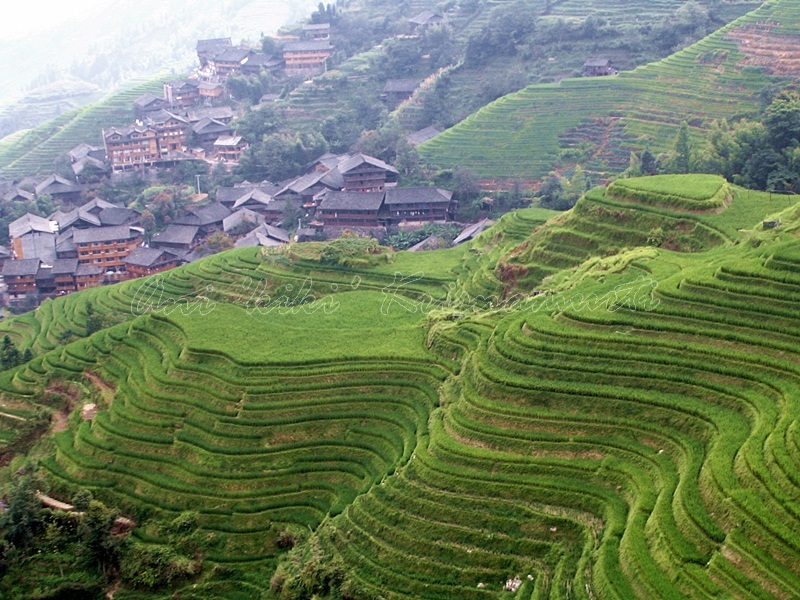 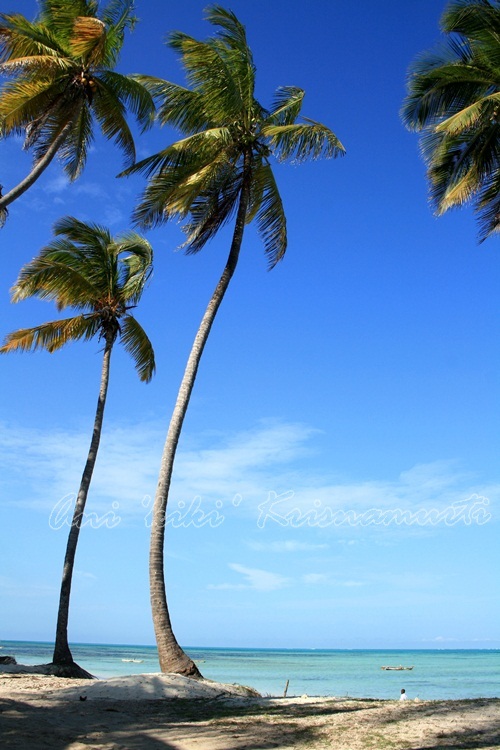 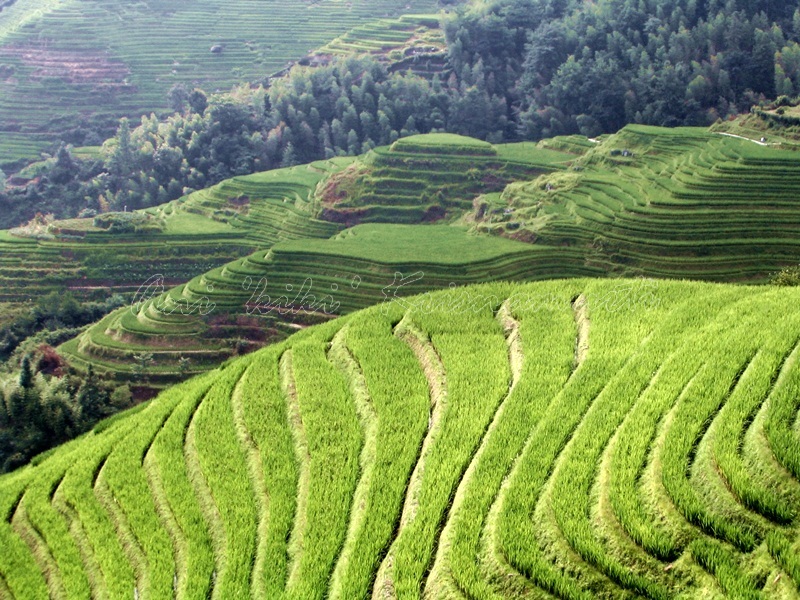 The terraced fields were mostly built about 650 years ago. 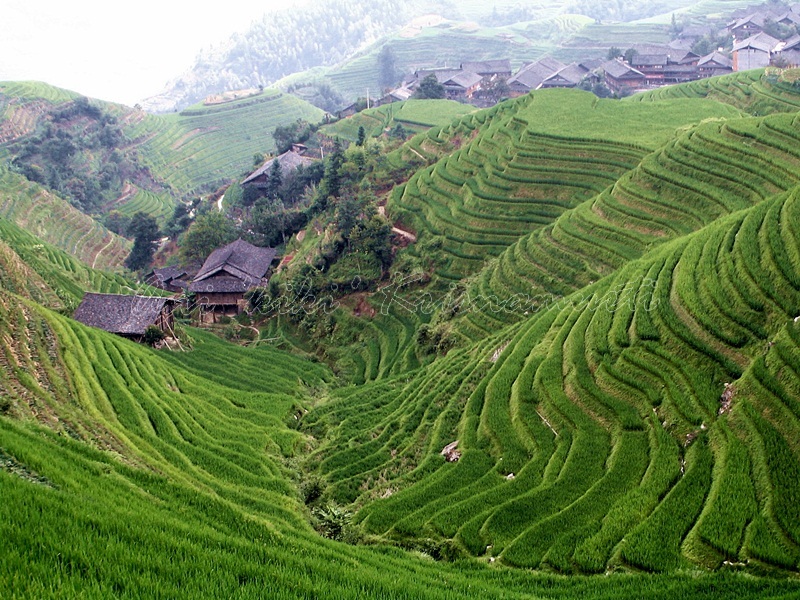 Longji (Dragon’s Backbone) Terraced Rice Fields received their name because the rice terraces resemble a dragon’s scales, while the summit of the mountain range looks like the backbone of the dragon.Visitors standing on the top of the mountain can see the dragon’s backbone twisting off into the distance. 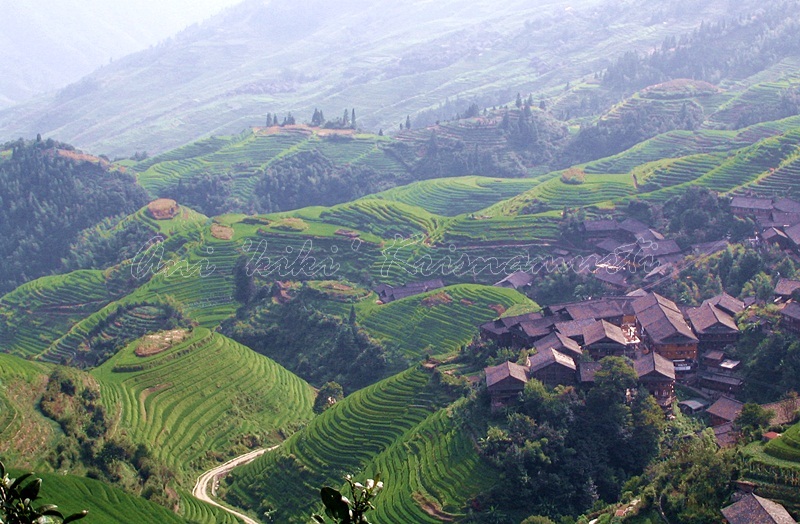 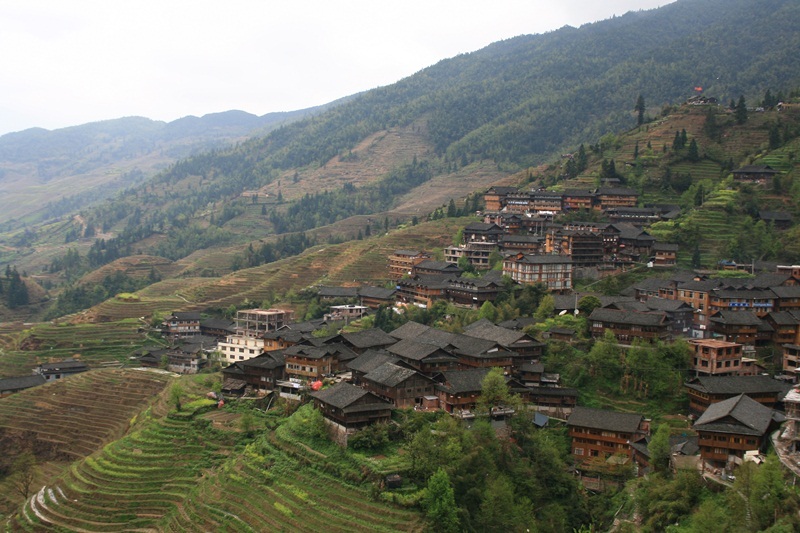 In an early morning, when the weather is fine, the sunrise on the summit of Longji Rice Terraces is magnificent. 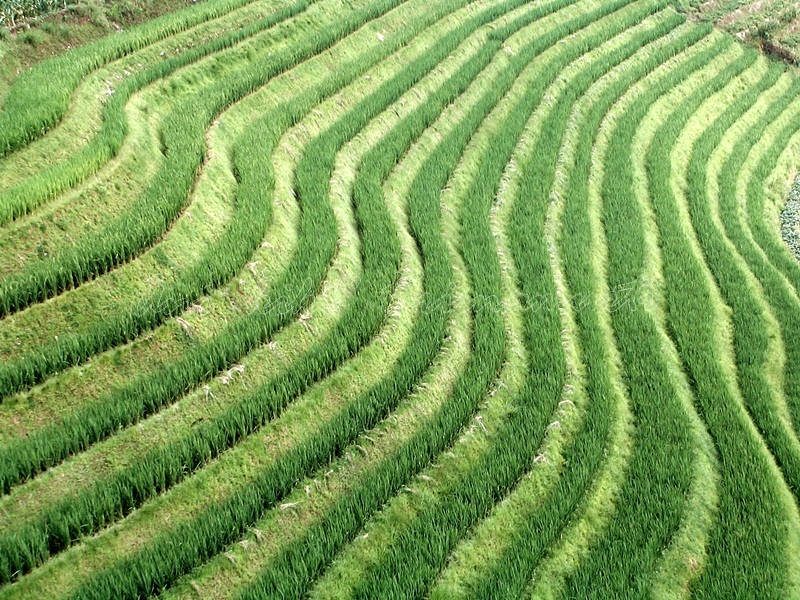 They are beautiful in early June. 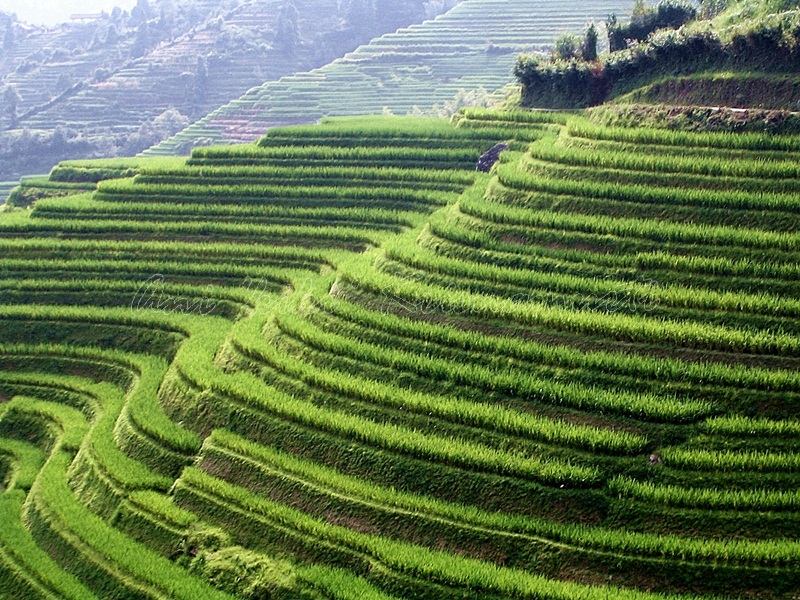 At this time, water is pumped over the rice paddies and young plants are transferred to the main terraces. 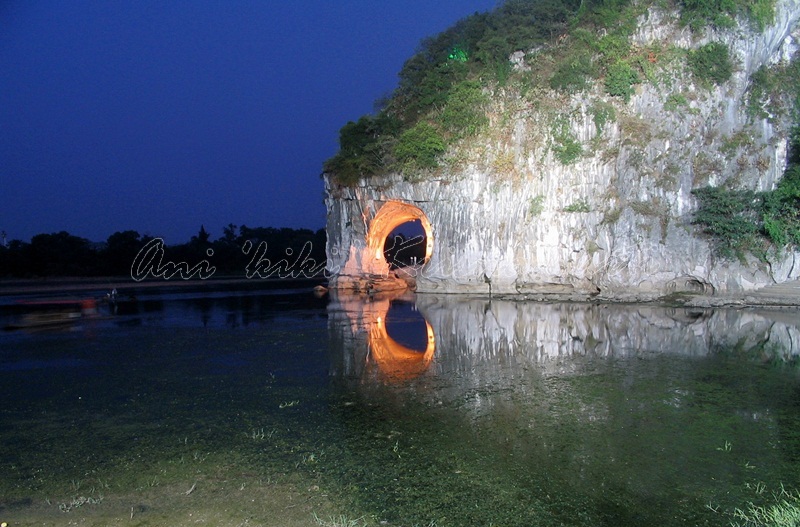 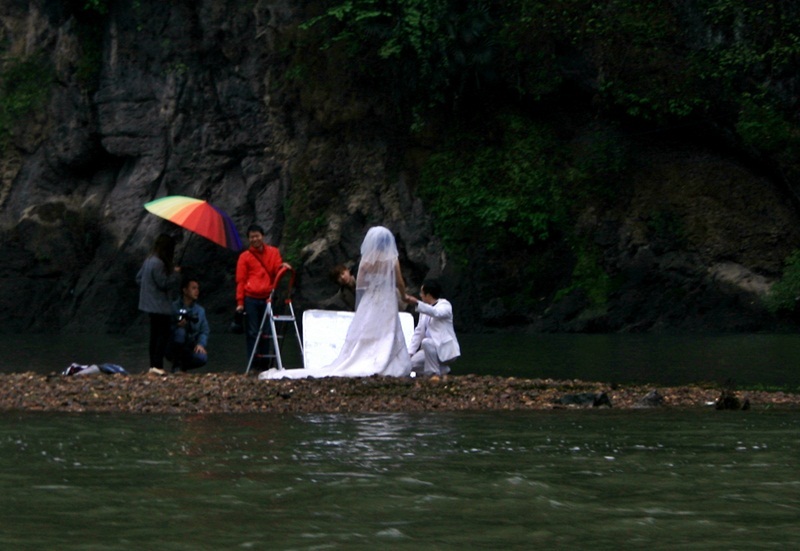 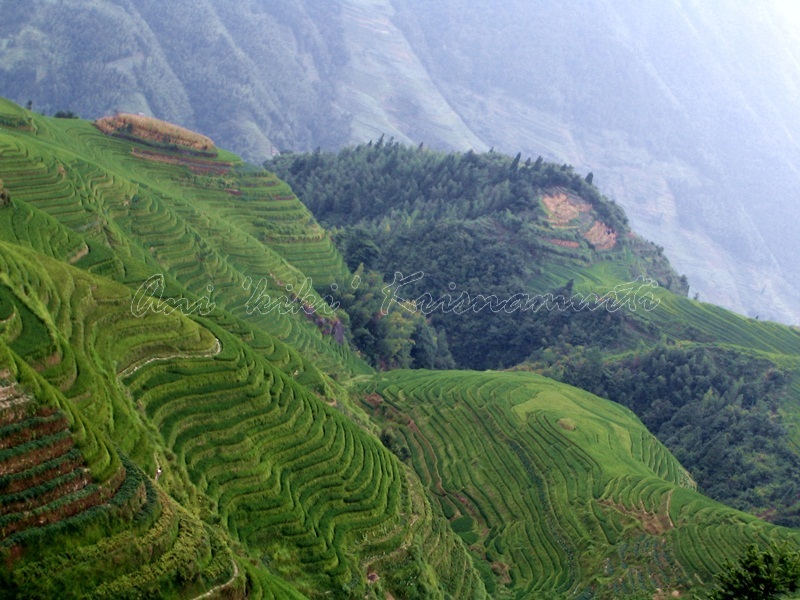 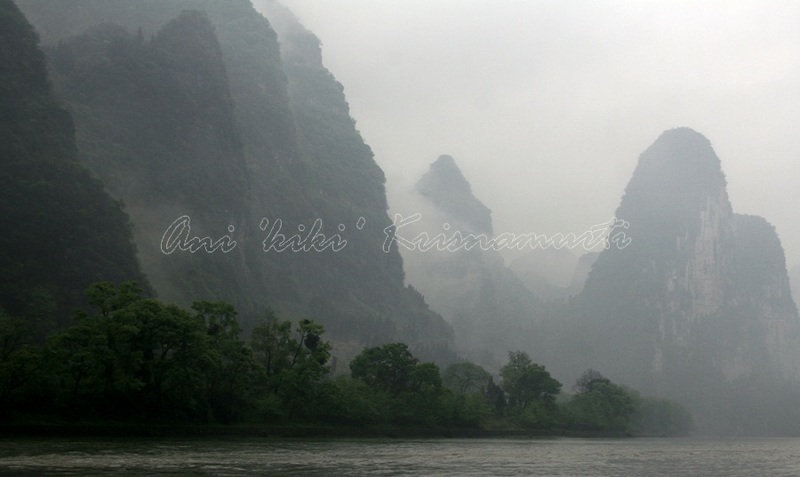 Posted in UncategorizedTagged asia, china, guangxi, guilin, li river, longji titian, longshen, photography, rice terraces, rock, travelBookmark the permalink.